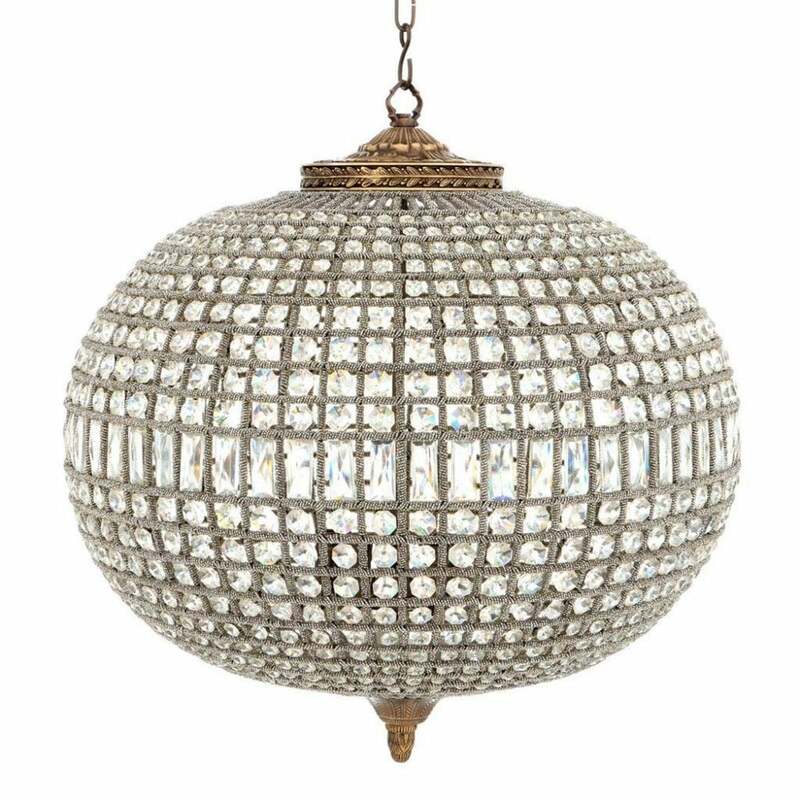 Featuring an interwoven, metal frame encased with cut crystal glass, the medium oval Kasbah Chandelier from the Eichholtz lighting range will make a stylish addition to any interior scheme. The oval structure is hand-finished by skilled artisans designed to the highest quality and using the finest materials. The adjustable chain can be used to create glittering lighting displays when combined with the smaller size. Available in either an antique brass or nickel finish, this timeless chandelier will suit both modern and traditional homes. Make an enquiry for more information.